At BloomsByTheBox.com, we truly love eucalyptus. Not only is this greenery trendy but it has many uses that can be incorporated into any wedding or event. Its versatility can be integrated into rustic arrangements or even something more whimsical. 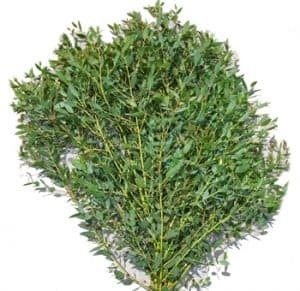 Wholesale eucalyptus comes in a variety of shapes and sizes as well which makes it a favorite for wedding designs. This resourceful greenery is mainly used as filler but can be highlighted as a focal point as well. Seeded Eucalyptus is the most popular varietal for its small peppercorn seed pods that brides swoon over! Its pale green leaves matched with its seeded pods, create a rustic feel and blends nicely with vintage themes. The seeds add texture and volume. Pair seeded eucalyptus with roses, hydrangea, garden roses, and ranunculus. 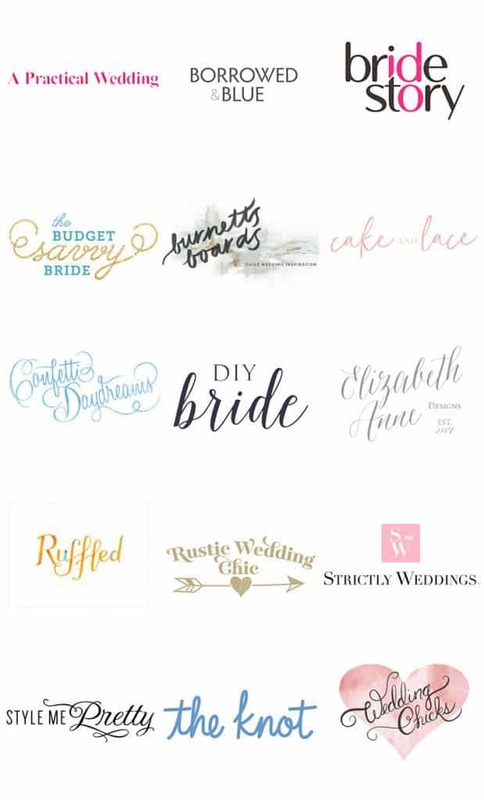 It also looks beautiful in cascading bouquets, hanging centerpieces, or table centerpieces. Growers have also made it possible to enjoy the seeds alone without its foliage by using bunches of seeded naked eucalyptus. With a vase life of up to 10 days and seasonality of June through February, brides are sure to find countless uses for this wonderful wedding favorite! 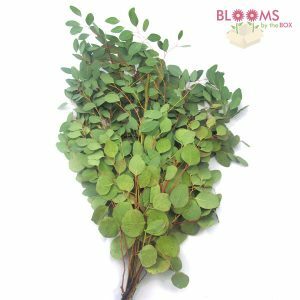 Silver dollar eucalyptus has broad and round pale green leaves with flexible stems. Many people favor this variety if they are not looking for seeds. It looks great paired with any flower and can be used to enhance any arrangement. Incorporate silver dollar into any romantic, rustic, or antique themed design. In addition to a long vase life, it is available all year long! How great! Bonsai is also commonly called Gunnii or cider gum eucalyptus. This wedding green has small leaves and adds a tremendous amount of texture to any arrangement. Its vertical structure allows you to add height and dimension as well. Bonsai is generally available from October through January each year with a vase life of up to 10 days. This looks great paired with hydrangeas, ranunculus, peonies, and garden roses as well. This unique eucalyptus provides height to any arrangement with its kabob-style foliage. Its small green leaves provide a strong fragrance as well. This fantastic DIY green works well in any bouquet or centerpiece. Because of its height, you can also cut it to any size that you need so that it fits in perfectly. Baby blue is available all year long and also can last in a vase for up to 10 days depending upon environmental conditions. Here is a favorite with a twist! This seeded eucalyptus is painted red. It provides the same benefits offered by the standard variety with a few extras. Use this in any holiday arrangement. 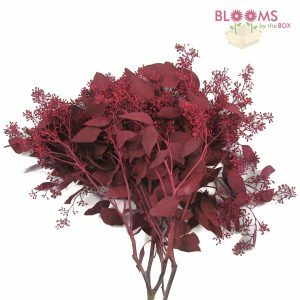 The beautiful red to crimson shades will compliment the greens of any foliage. Pair seeded eucalyptus red with spray roses, snapdragons, lilies, and green carnations to name a few. 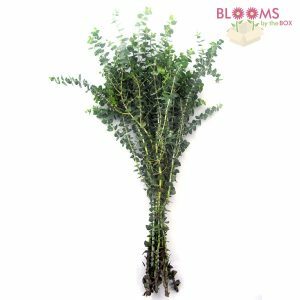 With availability in the fall through winter months and a vase life of up to 10 days, this greenery is perfect for adding depth or color to any design! 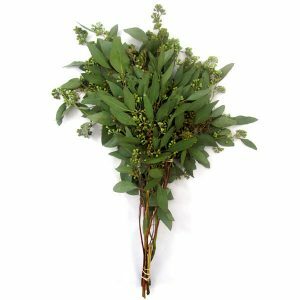 Place a beautiful seeded eucalyptus garland across the entire length of your dinner tables. Lay it in the center and adorn it with candles and small vases. They look great for garden-themed weddings or intimate gatherings. 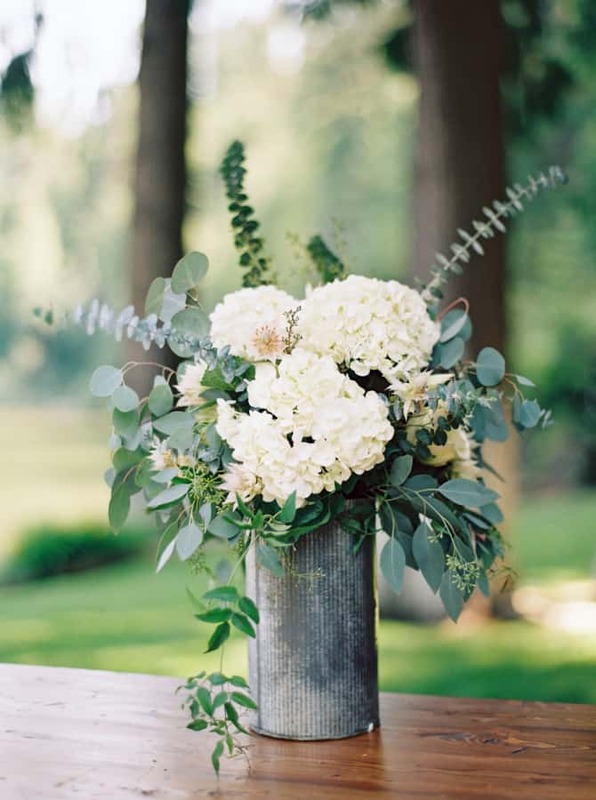 Garnish any bouquet with eucalyptus. 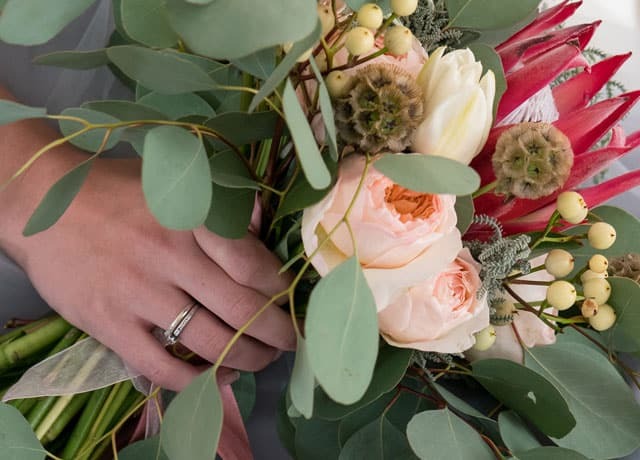 Many brides love to feature eucalyptus in their bouquets because of its romantic look. 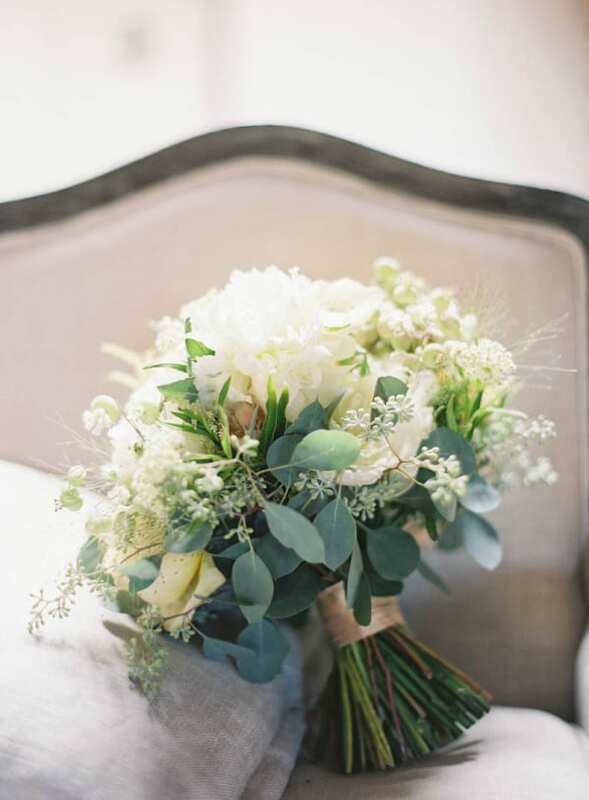 This bouquet has subtle touches of the greenery throughout paired with garden roses, peonies, baby’s breath, and other white flowers. 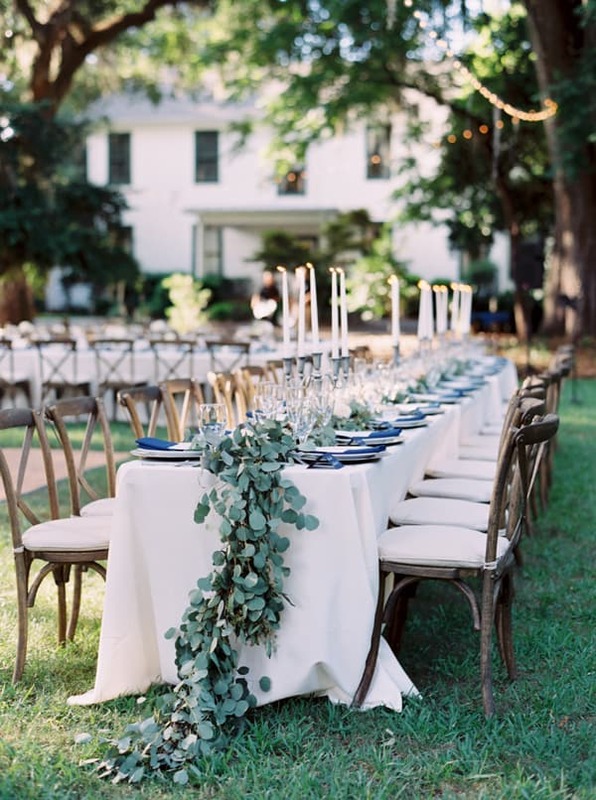 Perhaps one of the most widely used greenery; eucalyptus looks excellent in any centerpiece design. This bride chose mix seeded, silver, and baby blue eucalyptus along with hydrangeas in her centerpieces. This centerpiece shows rustic elegance and romance. For some more inspiration on how to incorporate eucalyptus into a design click here.